We met almost eight years ago when a mutual friend introduced us at a holiday party. We exchanged Facebook info, and kept in touch from time to time. Then four years later, Ryan commented on one of my photos from a Coldplay concert, and sent a message that he loves Coldplay too, and we should hang out next time there’s a concert. We made plans to attend a music festival together later that month, and it's all history from there. For our anniversary, we decided to go to Sandals Inn to celebrate, and Ryan proposed, and I of course said “Yes”! 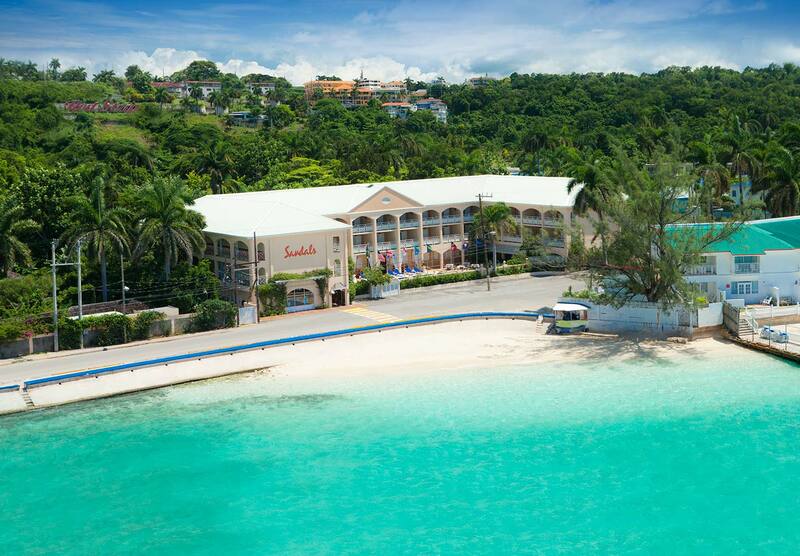 Here we are now planning to return to Sandals Inn to host our destination wedding! It's been an amazing ride, and we are looking forward to spending the rest of our lives together. We hope you will join us in celebration of our love. From the moment we locked eyes eight years ago, I knew Mary would have a special place in my life forever. I remember how awesome it felt that night when we met … we literally were introduced and spent the whole night standing in the kitchen area, just talking the night away. There was something about her, I knew she was the one. Unfortunately, soon after we met, I moved away for a job opportunity, but I kept in touch. When my career path led me back to my hometown, I was thrilled to reconnect with old friends, especially with Mary. I made my move through facebook, of course, and we have been together ever since. I am so excited to spend the rest of my life creating new memories. From the moment we locked eyes eight years ago, I knew Amber would have a special place in my life forever. I remember how awesome it felt that night when we met … we literally were introduced and spent the whole night standing in the kitchen area, just talking the night away. There was something about her, I knew she was the one. Unfortunately, soon after we met, I moved away for a job opportunity, but I kept in touch. When my career path led me back to my hometown, I was thrilled to reconnect with old friends, especially with Mary. I made my move through facebook, of course, and we have been together ever since. I am so excited to spend the rest of my life creating new memories. This quaint 52-room hideaway, surrounded by tropical gardens and just steps from the Hip Strip may be the smallest Sandals but it's big on charm and huge on value-with an impressive array of amenities for its size. The cozy bed & breakfast ambience of this traditional Jamaican inn is warm and captivating. In a place where everyone knows your name, the famously attentive staff also happens to deliver 24-hour complimentary room service to all guests, assuring breakfast in bed can be a favorite any time of day. ...so what does everyone think about our wedding flowers? Please let us know because it means so much to us that are friends and family are involved with this special day for us.